In 1971, David Bowie sat for jury duty for a vandalism case and had the time of his life. Bowie loved jury duty so much that he spent the rest of his life obsessively creating new personas to get another shot at the jury box. 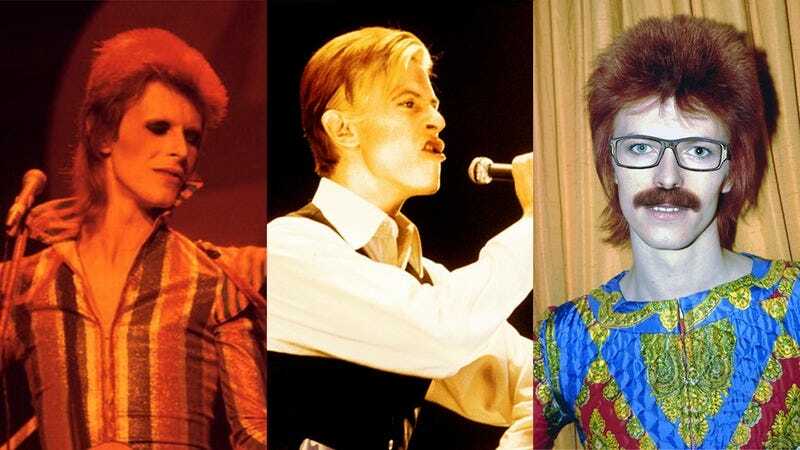 Here are the four unforgettable David Bowie personas that the rock ’n’ roll legend created in order to trick the selection committee and get back on jury duty. Upon learning that his recent jury appearance would automatically disqualify “David Bowie” from selection in most districts for several years, Bowie introduced the world to Ziggy Stardust, a psychedelic alien from a planet of the galaxy’s best jurors. Ziggy was summoned to Pittsburgh for jury duty on a reckless driving case. Ziggy Stardust wowed the jury selection committee with a song about his species’ truth-detecting antennae and second set of eyelids that completely block out racial bias. Ziggy Stardust was selected as a member of the jury, and his lone dissenting vote of “not guilty” resulted in a mistrial. The evidence of the defendant’s guilt was overwhelming, but Ziggy Stardust explained that on his planet, the only crime that anyone was guilty of was being “cosmically groovy,” and that “everyone was a criminal.” As a result, Ziggy Stardust was banned from jury duty for life. Riding high on his previous successes, Bowie refashioned himself as the Thin White Duke, a haughty aristocrat who was powerful enough to appoint himself to any jury he desired. The character backfired spectacularly when the Duke attempted to seize a judge’s gavel to appoint himself sole juror for all of California’s legal system, requiring three bailiffs to wrestle him down and another two to pry the gavel out of his grip. The Duke was tried for disorderly conduct and barred from coming within 200 feet of any California courthouse. In a cruel twist of fate, Bowie’s other iconic jury-duty character Halloween Jack was on the jury for the Thin White Duke’s trial and voted “guilty” along with his fellow jurors. Bowie later described this trial as the only time he had ever wished there were no such thing as juries.